There is nothing like a bit of gilding to set off a classic boat. 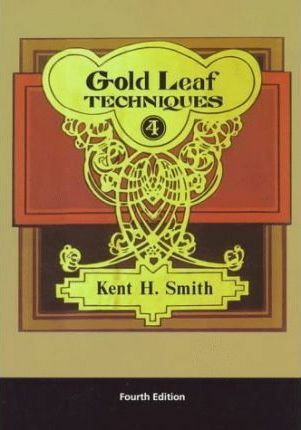 Gold leaf is normally bought in books. It is possible to buy it on rolls but for boat work the books are handier. A book normally contains 25 leaves, each leaf an individual sheet measuring approximately 3 3/8inch/85mm square. There are several ways in which the leaf is packaged. Patent or Transfer leaf is the easiest to use. Patent or Transfer leaf has the gold mounted on to special tissue paper by a pressure process. This allows one leaf at a time to be handled without the need for a 'gilder's tip'. The leaf will stay attached to the backing tissue until it is pressed onto the prepared surface, (see the video below). Gold leaf comes in a wide range of colors and karats. And is alloyed with copper and silver to produce a wide variety of colors. However the addition of these other metals lowers the karat value of the gold leaf and thus it’s resistance to corrosion. For any outdoor applications particularly for boats you will require a leaf that ranges from 96% to 98.5% in purity, 23kt to 23.75kt. Anything less than 23kt are only recommended for indoor use. The leaf also comes in a variety of thicknesses. Leaf thickness is usually measures in grams per 1,000 leaves. For any outdoor application is 18 to 23 grams per 1,000 leaves is recommended. The heavier leaf will last longer and survive the abrasive effects of wind, rain, spray, salt and sand. The amount you are going to need is dependent on the complexity of the lettering or cove and how careful you are while laying the leaf. The patent gold leaf books are sensitive to changes in temperature and humidity. Too dry and the leaf can separate from the backing paper. Too hot and it can stick too tightly to the paper. Store them in a cool damp environment wrapped in a plastic bag. Size is the special adhesive used to glue the leaf to a surface. 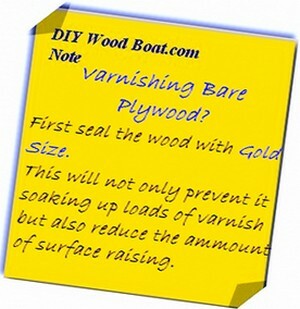 For boat and exterior work a traditional, clear, natural, oil based size is recommended. 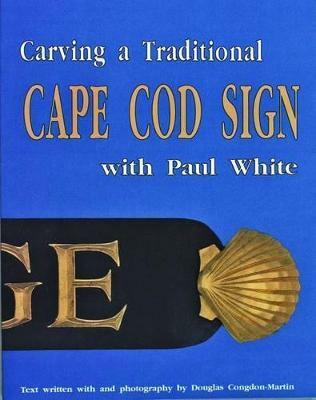 Size can be bought in spray cans but for small areas such as lettering and cove lines it is better to paint it on. Once the size is applied it must be allowed to reach it’s proper tack before applying the gold. This will depend on the thickness, temperature and humidity, however once it has reached the ‘tack’ it will remain usable for several hours. Water based size is only suitable for interior use. It should go without saying that the finished result will depend on the condition of the underlying surface. The smoother, firmer and cleaner the surface the better the finish. You can use masking tape or that bright colored electrical tape when sizing, however it is quite easy to control the size using a small brush. Before sizing, paint the area to be gilded with yellow ocher. Then if any of the gold does flake or become scratched it won’t look so noticeable. It is most important that the size has reached its proper 'tack' time before you begin. The time to apply your leaf is when the size is no longer ‘wet’ but has become 'tacky', yet before it dries completely. Apply size carefully and evenly keeping it on the areas to be gilded only, sizing and gilding a few feet at a time. When the size is ready, place the sheet, gold side down and then rub the backing paper with your thumb or finger. Running your thumb or finger through your hair before hand will help the leaf part from the backing, apparently it is something to do with the static. Finally, burnish to remove any excess leaf and polish the gold surface. Burnishing is best done with a soft squirrel haired brush but you can use a soft cotton rag or lambs wool. The video below shows how simple the gilding process actually is.